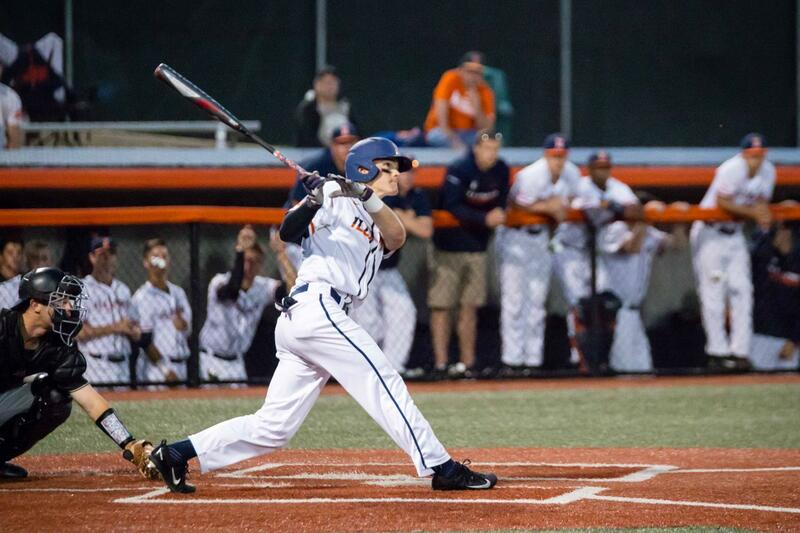 Illinois’ Michael Massey hits the ball during the game against Northwestern at Illinois Field on April 15. The Ilini lost 11-4. 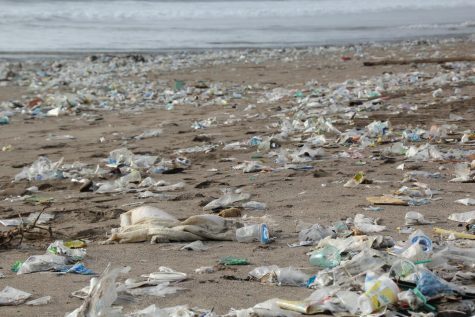 It is very common, and has even become a cliche, to describe something inconsistent as a roller coaster. In many situations, it works. But sometimes that’s not the best way to say it. But, for the Illinois baseball team’s season, it is pretty accurate. 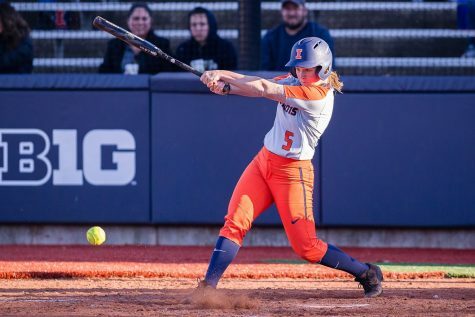 Despite a very young roster composed of mostly underclassmen, the Illini had high hopes heading into the season. 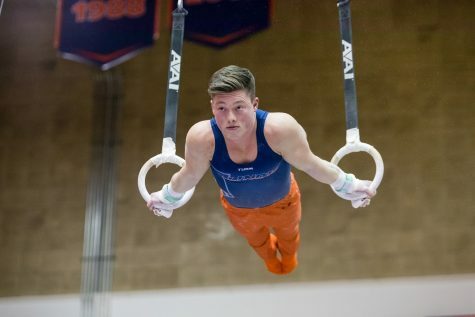 Head coach Dan Hartleb and the team knew that they were inexperienced, but had no doubt they had the talent necessary to succeed in a tough conference. 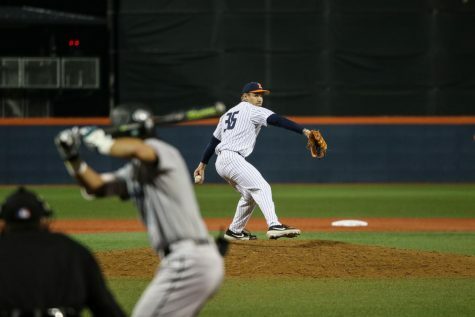 The season started slow, with lots of struggles stemming mainly from the pitching staff. 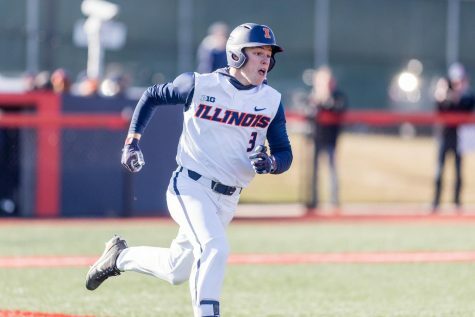 The Illini went 2-5 in February and followed that up by going 5-11 in March before starting to turn it around in April. 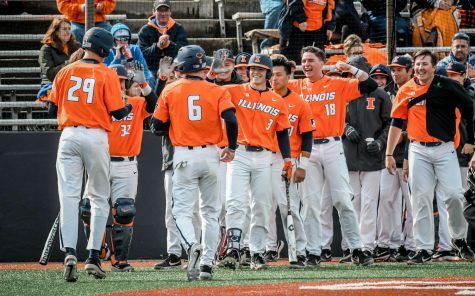 Illinois went 11-7 last month, including big wins over top teams such as Michigan, Missouri and a series win over Minnesota. The team is now at its peak. 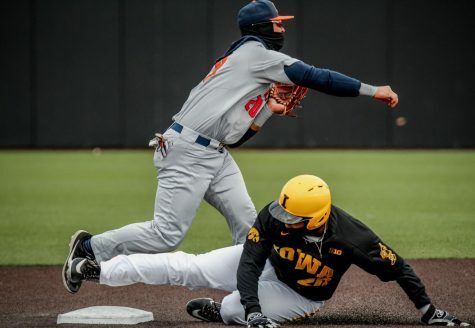 It is rolling with plenty of momentum and heading into the final stretch of the season and fighting for one of the final spots in the Big Ten tournament. 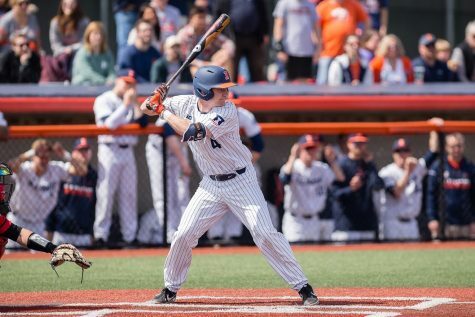 The Illini currently sit in a tight race at the bottom of the conference, just two games back of Michigan State for the eight-seed. But, it is certainly in reach. 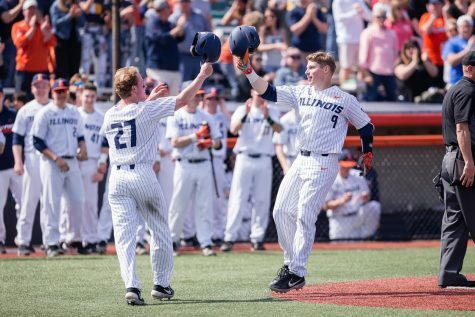 In their last 10 games, the Illini are 6-4, and have not lost by more than three runs in any of their losses. 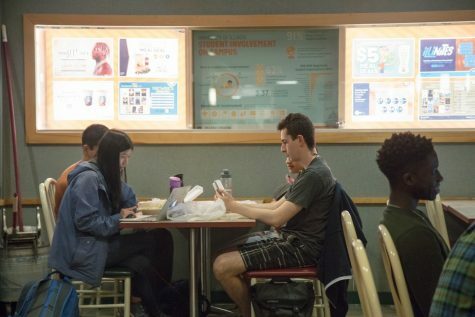 The team is hot at the right time, and it is completely different than where it started at the beginning of the year. 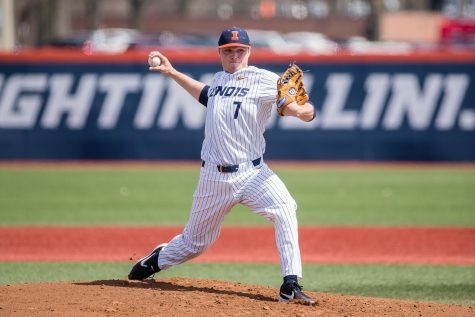 During the last 10 games, the Illini pitching staff has made a big improvement, allowing just 4.3 runs per game, just about two whole runs less than their season average. Much of this change has been due to a shake-up in the rotation that moved both Cyrillo Watson and Matthew James into the starting rotation and moving Cole Belair to the fourth man up. Closer Joey Gerber has also been dominant lately. 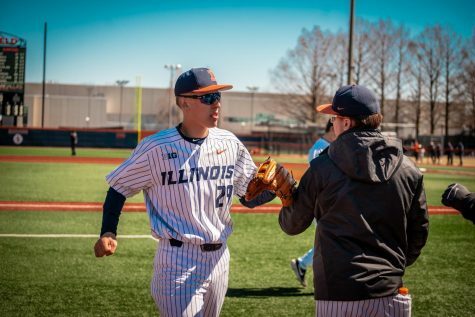 In his last 18 appearances heading into the weekend series against Maryland, Gerber has allowed only two runs — both were earned — helping him to lower his ERA to 2.57, good for second-lowest on the team behind only Zak Devermann. But it has not been just the pitching that has been better; the hitting has been strong as well. Freshman Michael Massey has led the offensive attack was the reigning Big Ten Freshman of the Week for the second-straight week. He earned that title by hitting over .500 in two straight weeks, including a current 14-game hitting streak. Jack Yalowitz, Pat McInerney and Ben Troike have all been solid as well. So, even though the team put itself in a tough position with the slow start, it has made up for it as of late. 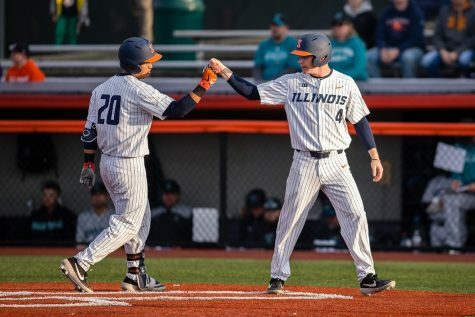 With nine games left in the season, the Illini have the shot they want to make a postseason run and hopefully make some noise in the Big Ten tournament and possibly even the College World Series.